This is a wonderful teeth whitening technique that allows us to easily, comfortably and safely whiten your smile. In our Bonner Springs office, we use a special, mild, pleasant tasting carbamide peroxide gel that, over a period of 7-10 days, can dramatically whiten your smile. Custom-made, soft plastic stints are fabricated that allow you to wear them almost invisibly. The special tooth whitening gel is placed in these stints and worn for several hours a day (or night). Most patients notice a difference in just 6-8 hours of time. Almost all of our Kansas City area patients have completed their tooth whitening within 2-3 weeks. Darker teeth may take longer. Professional teeth whitening by Dr. Drake is your best choice when you need immediate whitening results. This procedure is called chairside bleaching and may require more than one office visit. Each visit may take from 60 to 90 minutes. During chairside bleaching, Dr. Drake will apply either a protective gel to your gums or a rubber shield to protect the oral soft tissues. A bleaching agent is then applied to the teeth and a special light may be used to enhance the action of the agent. There are several types of products available for use at home, which can either be dispensed by Dr. Drake or purchased over the counter. They are generally teeth whitening trays (mouthguards), strips, or paint-on products. 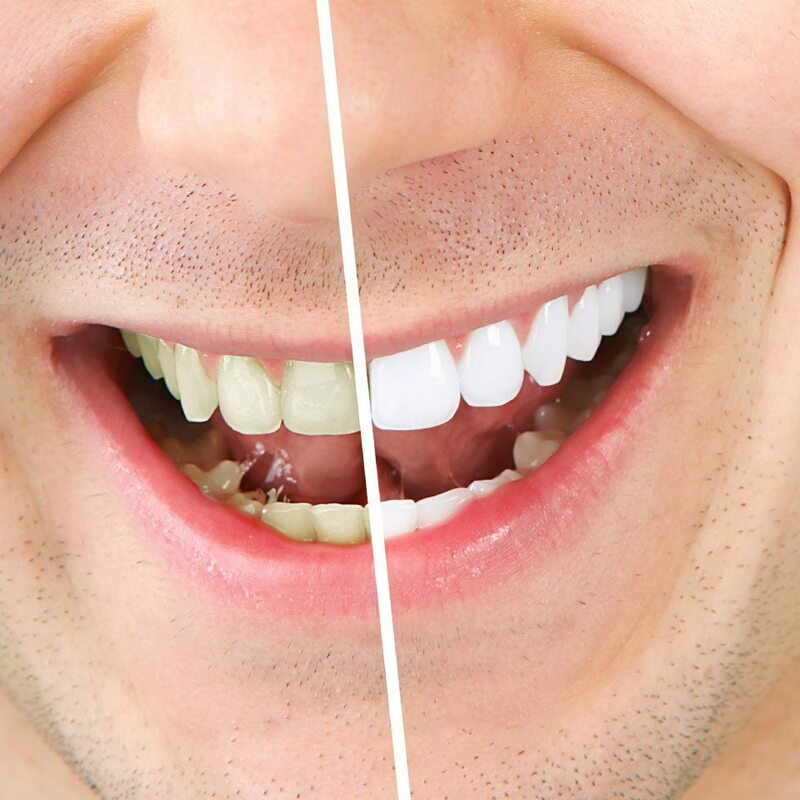 Teeth whitening can have minor side effects and you should speak with Dr. Drake if these become bothersome. For example, teeth can become sensitive during the period when you are using the bleaching solution. In most cases, this sensitivity is temporary and should lessen once the treatment is finished. Some people also experience soft tissue irritation, either from a tray that doesn’t fit properly or from solution that may come in contact with the tissues. 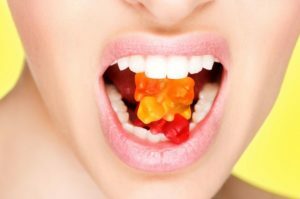 If you have concerns about such side effects, you should discuss them with Dr. Drake. More full face images are available at our conveniently located office in Bonner Springs in the Kansas City, Kansas area.Feel free to stop in anytime to view many more full face photos at no obligation. You can also call us at (913) 721-1300.